When fishkeepers refer to Bichirs, they refer to a group of primitive and exotic fish that forms the family Polypteridae. Included in this group are about 15 species from the genus Polypterus and a single species, the Ropefish (Erpetoichthys calabaricus). All species occur in freshwater habitats in Africa. They are easily distinguished because of their eel or snakelike appearance, with a series of dorsal finlets which varies from 7 to 18 depending on the species. The first Bichir to be introduced to the Philippines was the Senegal Bichir (Polypterus senegalus). 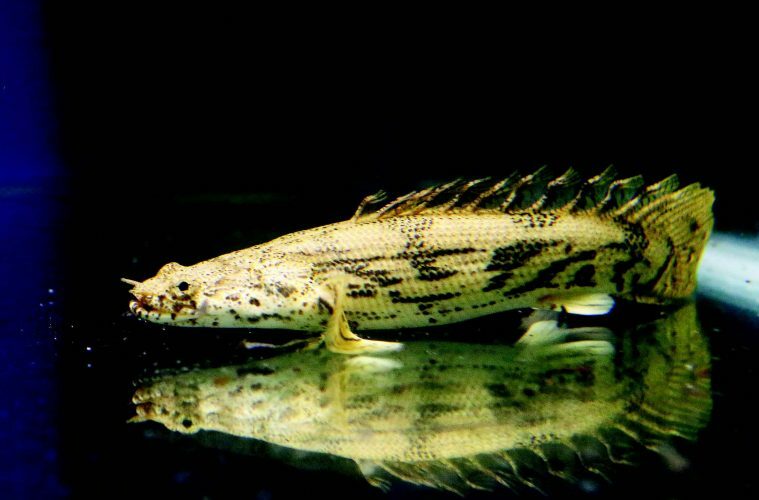 Because of the dorsal finlets, Filipino fishkeepers called the Senegal Bichir the “Dragonfin.” Since then, the term Dragonfin has been used to describe Bichirs here in the Philippines. For the longest time, only two species of Bichirs were available to Filipino fishkeepers: the P senegalus and the Ornate Bichir (P ornatipinnis). However, at the turn of the millennium, more and more species of Bichirs were slowly being introduced to the Philippine fishkeeping community. Filipino fishkeepers today now have the luxury of keeping all 15 or so species known to science because they are now available locally. The international trade of Bichirs has improved tremendously. Of course, improved transportation, packaging, and shipment have a lot to do with the species finding their way into fishkeepers’ tanks across the globe. Likewise, advancements in fish breeding technology have made farm production of Bichirs possible. Today, many species of Bichirs are bred in captivity and produced in massive numbers for the fishkeeping industry worldwide. In the Philippines, I know quite a handful of people who have bred the P senegalus in commercial quantities, such that we never relied on imported stocks to supply the market. For a time, my friend Ronald Asana supplied the whole country with P ornatipinnis bred from his home in Caloocan. But nowadays, no one can compete with captive bred Bichirs from Indonesia in terms of price, variety of species, and volume. In fact, local breeding of P senegalus and P ornatipinnis has become obsolete because these are so cheap and always available from Indonesia. Currently, Indonesia produces captive bred Bichirs for the world market. They have fish farms that specialize in breeding the following Upper Jaw Bichir species: P senegalus, P ornatipinnis, P delhezi, and P teugelsi; and the following Lower Jaw Bichir species: P endlicheri, P congicus, P lapradei, and P ansorgii. As for the other Bichir species like the P bichir bichir, P mokelembembe, P palmas buettikoferi, P palmas palmas, P palmas polli, P retropinnis, P weeksii, and E calabaricus, it may generally be assumed that stocks of these species are still wild caught since there is no commercial breeding of these species on a consistent basis. If there are instances of breeding these in captivity, these may not be done in regular operations and/or in commercial quantities. While half of these species are now being bred on fish farms in Asia, it doesn’t mean that stocks of the species mentioned above are no longer available in Africa. Of course, all Bichirs come from Africa, and if you want to get the best specimens, Africa is it. Bichir-exporting African countries still produce wild caught specimens of all the Bichir species to supply the international trade for Bichirs. For the fishkeeper, this means that practically all the 15 species of Polypterus and the lone Erpetoichthys species are available in the Philippine market. In fact, you may even have a choice of captive bred or wild caught Bichirs. But does it matter whether your Bichir is captive bred or wild caught? My personal answer to this is: YES. There indeed are some differences between captive bred and wild caught Bichirs. The first factor that affects all fishkeepers is the price. Captive bred Bichirs are cheaper than wild caught Bichirs. As economics has taught us, the price of any commodity is based on supply and demand. Considering that there is a constant demand for Bichirs, a large supply will bring the price down.For a country like Indonesia that has breeding facilities that can supply the whole world with farm bred Bichirs, you can bet that they have a large supply practically the whole year round that this will bring down the price. Indonesia produces a lot of Bichirs, so that they can afford to sell their produce at a very low price. On the other hand, the supply of wild caught Bichirs is not regular and volume is low. Therefore, the price will be high. Farm bred Bichirs are sold anywhere when their size is from 2 to 6 inches. Naturally, a farm would like to sell its Bichirs as quickly as it can so it can convert their produce into cash. Rather than spending more money growing the Bichirs, they prefer selling these small to make a quick buck. In addition, common sense tells us that a 2-inch Bichir is cheaper than a bigger one of the same species. Another reason why captive bred Bichirs are cheaper than wild caught ones are the shipping costs. In the Philippine context, Indonesia is so much nearer to our country than Bichir-exporting African countries. Hence, from Indonesia, shipping costs are lower. Ordinary fishkeepers are often unfamiliar with how shipping and brokerage costs add to the costing of importers and wholesalers; this greatly affects the final price of an imported fish. Thus the shipping cost of fishes bought from faraway Nigeria will be greater than those of fishes bought from our Southeast Asian neighbor. By the way, wild caught specimens may also be bought from other Asian countries like Singapore, Taiwan, and Thailand, but of course they have added markups to the prices of their fishes; hence, the price will be bigger. After all, they need to make a profit from their business. Another difference between captive bred and wild caught Bichirs is their appearance. There are subtle differences physically that experienced Bichir keepers can identify but which may not be too obvious to average fish hobbyists. The well versed Bichir keepers can tell in one glance if a P endlicheri is wild caught or captive bred. Bichir keepers with extensive experience base their knowledge on wild caught specimens. It’s safe to say that wild caught specimens are the standard as to how Bichirs should look like. Likewise, studies and scientific descriptions are based on wild caught specimens and not captive bred ones. Captive breeding highlights some traits that are developed by generations of breeding the same lineage of fish. Fish farms generally breed the same stocks and this results in inbreeding. By breeding fish from the same gene pool, some traits are emphasized that are inadvertently developed. Don’t get me wrong. These traits may be good or bad. We would not have Albino P senegalus, or Long Finned P senegalus, or Long Finned Albino P senegalus in the market if not for the inbreeding of captive specimens. These variants of the P senegalus were developed by highlighting these albino and long finned traits. In these cases, the result was the favorable traits which the market accepted and adored. Lately, Platinum variants are also available in the hobby. Although still rare and very expensive because supply is still very small, they are a result of captive breeding. These albino, long finned, and platinum traits do not occur in nature. Should they do so, they would be so extremely rare that we might not even see them in the Philippine fish trade market. 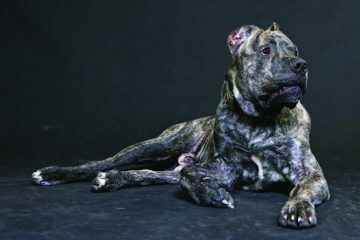 But on the other side of captive breeding, some less desirable traits have been developed by inbreeding. In the process of producing millions of Bichirs for the world Bichir market, captive bred specimens developed some traits that are not seen in wild caught specimens of the same species.